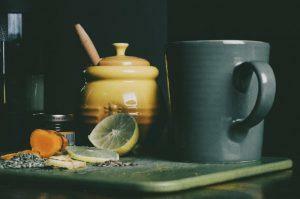 What is turmeric good for? Turmeric has hit the headlines a lot in recent years, and has now been scientifically proven be one of mother nature’s most potent superfoods. It can be effective against a wide variety of ailments, ranging from the common cold to more serious diseases such as cognitive decline, arthritis, and even some cancers. 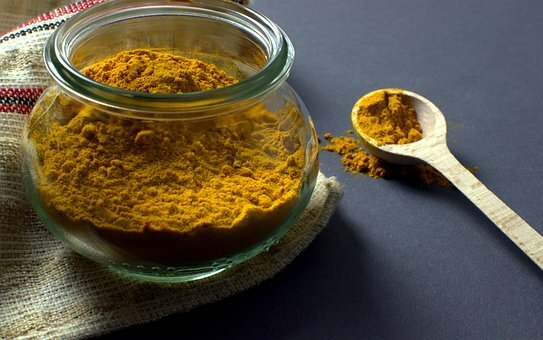 Yes turmeric’s super powers truly do spread far and wide, and in this homemade turmeric paste review you will hear a testimony from (a now very loyal turmeric fan) about its truly awesome benefits, and how a life his was changed for the better. AND, all of these benefits occurred after not even a couple of months of use! Turmeric first came to my notice about a year ago when I saw an episode of “Trust me, I’m a doctor”. The programme was running a feature on a range of so called super-foods, about which extravagant claims were being made along the lines of “miraculous, life changing, youth restoring, energy enhancing, complexion rejuvenating etc, etc. The programme’s conclusion was that, for all of the super-foods under scrutiny, the unbelievable claims proved to be exactly that. Unbelievable. All, that is, apart from turmeric. At this point I made a half-baked mental note to try out this wonder stuff, but in reality, did no more than think about it. No action. Until, about a month ago, I was presented with a pot of turmeric paste (recipe available on request) by my daughter-in-law, Steffy. I took my first spoonful, and immediately loved it. I listened with excited interest to Steffy’s accounts of others who have become recent converts, and the impressive list of health gains and mood improvements which they report. Since my first spoonful, I have been ingesting this stuff on a daily basis. What follows is my account of the effects. For the past 40 odd years, I have suffered recurrent bouts of shingles. Mild versions amount to blistered lips, ears and head, and feeling generally grotty. More severe attacks lay me up in bed for several days, feeling sick as parrots and miserably woebegone. Doctors have prescribed topical ointment/creams and anti-viral tablets. All of which have helped to alleviate symptoms but failed to address causes. Since starting on the turmeric, I have completely dispensed with the creams and anti-virals, and have felt almost completely free of this wretched affliction. If it tries to rear its ugly head, I simply take an extra spoonful of the paste. I’m a 67 year old ( just turned) who has been increasingly struggling with various aspects of memory. I frequently have the idea or picture in mind, but the word refuses to come, routinely getting stuck on my tongue-tip. This has applied particularly with people’s names, reducing what could have been entertaining anecdotes to ridiculous farce… “ You remember what’s-his-name, used to work with me at what-do-you-call it, you know him, thing-a-mi-jig’s brother”. Well, over the course of my turmeric ingesting month so far, I have noticed, to my astonishment, that a whole bunch of these forgotten names have come back to mind. Sometimes quite gradually… “Started with a C, I think, yeah, Charley, that’s it…” But,astonishingly, once I have remembered these names, they stick, and I can then recall them instantly and accurately. I’m also now much quicker when watching TV quiz stuff. 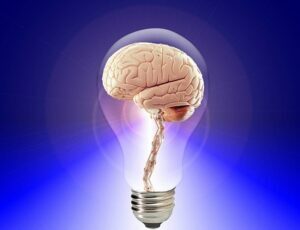 And, the improved memory feels like only one aspect of a generally clearer, sharper mind set. For 30 odd years, I have had a swelling in one of the lymph-nodes in my neck. It has never gone away, but has grown from soft petit-pois size at its best, to large, hard and angry runner bean size during episodes of shingles outbreaks. Now, it has completely disappeared. Left not a trace. Amazing. Over the past 3 weeks, various members of my immediate family have been suffering from nasty colds. 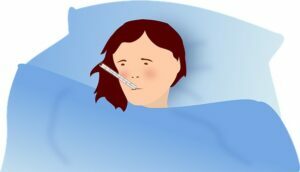 Last Friday evening, I got what appeared to be the initial symptoms of: headache, streaming nose, shivers, aching limbs. These exactly replicated the onset symptoms which had laid 1 wife + 2 daughters in bed for several days. I thought I was doomed to follow their pattern. But, I took additional paste dosage the following day, and within 24 hours, all of the early signs and symptoms had disappeared. There are obvious questions about mind and matter, placebo effects, the prospects of a kind of self-hypnosis. For now, those remain remotely academic questions to me. What I see, and am happy to live with, is the incontrovertible evidence of physical improvements, and a sense of enhanced well-being. And, I like the taste. If you would like the recipe for this delicious healing paste and more information about turmeric in general, then please head over to my turmeric paste recipe. Thank you for reading this post, and I hope you have gained some valuable knowledge that could very well change your life. If you have any other questions about the benefits of turmeric then please post them below. Thank you. Plant based eating is set to EXPLODE in 2019; not just for health reasons, but also to help keep our beautiful planet thriving. Having lived this healthful lifestyle for over 2 years, I can honestly say I feel pretty awesome for it and now feel the need to share the path to ultimate health with others. That's why zestforever was born, to share my experiences, trials and errors, how I overcame them, and how to turn to this lifestyle in such a way that you will thrive too! Good nutrition has helped me throughout my life, and in fact, got me through some pretty rough times. I have lived, breathed, studied, and tried and tested healthy foods, superfoods and diets for as long I can remember, but nothing has come close to giving me the health buzz that plant based eating has. To expand my knowledge I have also studied and worked as a Sports Nutritional Advisor, and have also done courses in Nutritional Therapy and Clinical Weight Loss - all of which can tie in with the plant based diet. I am an avid exerciser and understand the plant based nutritional needs required for sports. This website is not intended to treat or diagnose any medical diseases or illnesses. It's merely meant as a way of showing you how to boost your health through the eating of more nutritious plant foods in place of junk foods. I am grateful for your support, and I hope that the tips and guides you find here will help to guide you on your own plant based journey. Hey nice review post. Great benefits! Hi Raymond, I’m glad you enjoyed it, and thanks for checking it out! Hi Stefanie and thanks for a great post! I did not know that turmeric could be used as a health food. I only used in cooking for the “color” it produces in the food. Anyway, now I know better after reading your article! Hi Patrik, I’m glad you learned something new about turmeric with my post. Yes, there has been so much research on turmeric these last few years and many of its benefits are now proven. It is that ‘color’ in the turmeric that makes it a powerful antioxidant which helps to slow down the aging process both inside and out. Just keep eating it, in fact you should try to eat it more! I have previously done research in the past and read that pepper and turmeric together will assist and enhance turmeric’s health benefits. Have you heard this before at all ? Hi Joel, yes that’s absolutely right, apparently black pepper (and it has to be black, not white) does actually up the absorption of the turmeric. The same also applies to fats, which is why you should always try to take your turmeric with both of these. In fact, my turmeric paste recipe does have both of these already in it. You should give it a try!